Hello, hello! I hope you had a great weekend! We are currently snowed in and the white stuff is still flying. Today I’m talking about hair so grab some coffee and keep reading. I never really put much thought into what hair products I used because I’ve always had pretty “good” hair. Until recently, I had just picked up whatever shampoo/conditioner looked appealing and went with it. I always loved the way my hair felt and looked after coming from the salon but I just thought that was from their special touch. After using some pretty amazing hair products it hit me, I can have that awesome I just came from the salon hair all the time if I use the right and best products. So I put together a hair care routine and my hair has never been better. My hair is shiny and softer than it’s ever been and it’s because it healthy and taken care of! 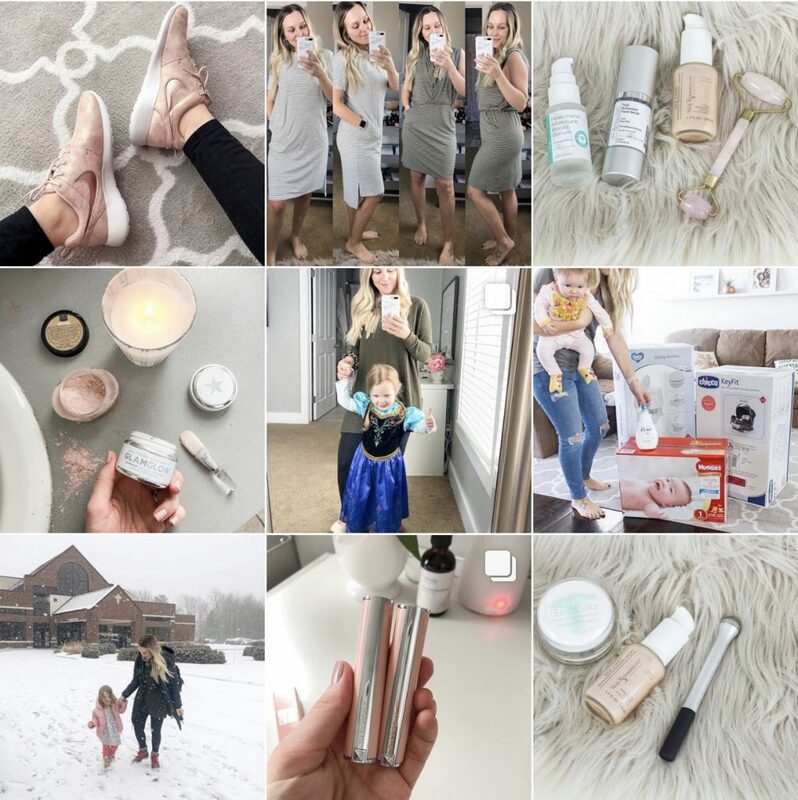 OH, and before I forget, make sure you hop over to Instagram and enter my 10k giveaway, it’s a $100 Sephora gift card so you don’t want to miss out! All the details are over on IG, you can enter here. I use a shampoo that is safe for color treated hair. I also swap in a restoring shampoo once in a while. Look for shampoo without sulfates. I love this one by Renpure and this one by RG Cosmetics. Also, use one that’s safe for color treated hair to prolong the life of my color. I use conditioners with extra moisture in the winter (right now) and I use lightweight conditioners in the summer. This is vital for all year round but especially in the colder months. Use a deep conditioner or a hair mask at least once a week. This Arvazallia one is great. I use masks differently sometimes. I like to use a coconut oil mask overnight on my hair to really let it soak in. I also love in-shower masks like this one by RG Cosmetics. You can use masks however you prefer but be sure to leave it on for at least 10 minutes. I have used so many different serums and oils. I do have to say one of my favorites is Kenra’s serum but I just look for ones that aren’t going to be too heavy for my hair. If you have thin hair looks for lightweight oils, if you have more coarse hair then look for more of a penetrating oil. I love Kenra serums . These are the bees knees if you use the right ones. I am forever in love with the Renpure coconut leave in treatment . The keratin express by RG Cosmetics is great for damaged hair. Again, find one for your hair type. I never used to get trims. I only got my hair cut if I was switching up my looks drastically. Getting your hair trimmed is so important! I feel so much better when I have fresh ends. 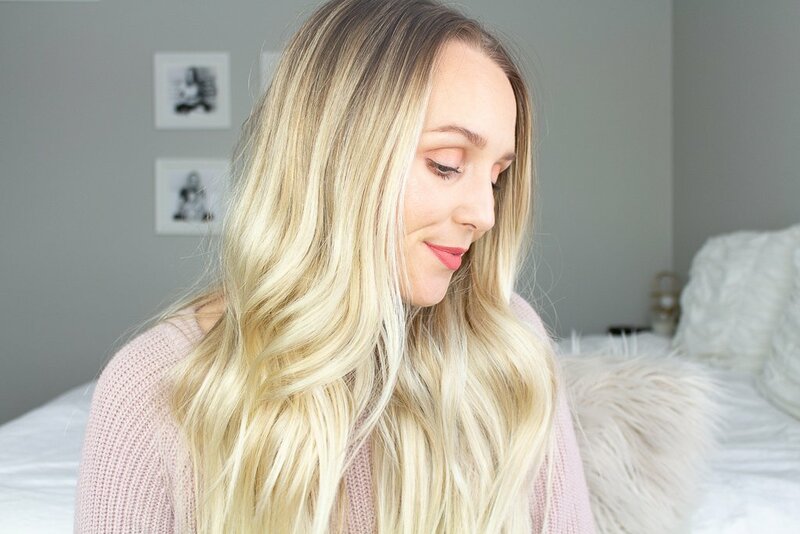 I used to get a million foils (bleach/highlights) everytime I went to the salon but I have opted for a super easy look that requires minimal bleaching, aka balayage. I like balayage because all I have to do is get my roots touched up with color every 6-8 weeks and a few foils every other time I go. Bleach can really ruin your hair if you’re not careful so keep it minimal and ask for olaplex when you do have your hair lightened. First, figure out your hair type. 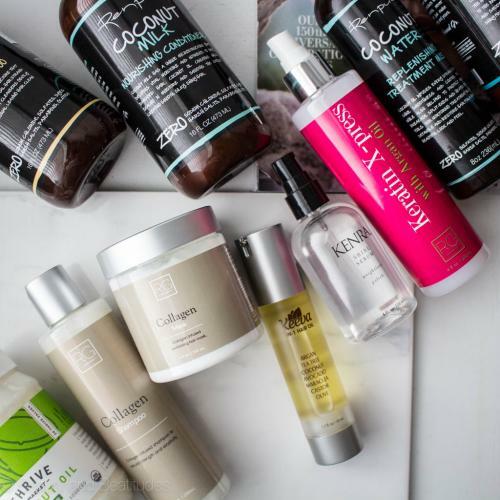 This is really important in configuring your hair care routine. Change products with the season, this will be mostly conditioning and moisture products. I also tend to use more dry shampoo in the winter because I wash my hair less. Start with the basics: shampoo and conditioner, then add in corrective products like extra conditioning/treatments/oils/etc. The corrective products are going to be based on your hair type. If you have dry hair then you’ll want to add in an extra conditioning treatment, if you have frizzy hair you need to add in a frizz treatment, etc. Pick a good serum or oil, in my opinion, everyone needs an oil or serum. There are a million different ones so you’ll be able to find one for your hair type. For example, there are light oils for thin hair and deep penetrating oils for dry or coarse hair. Care: If you have damaged hair make sure you are getting a trim every 6 weeks to trim off the dead ends. You also need to work extra hard at preventing further damage by using extra conditioning treatments, using a heat protectant, and reducing the use of heat altogether. If you have perfectly healthy hair I also recommend getting regular trims, every 6-8 weeks. I’d love if you shared your favorite hair tips in the comments so we can continue to learn and share! Have a great week! I really like this article on your hair routine tips and tricks. Especially as hair products can be fairly expensive. This article gets straight to the point on what to do and what not to do. I will look forward to using some of these tips in the future.